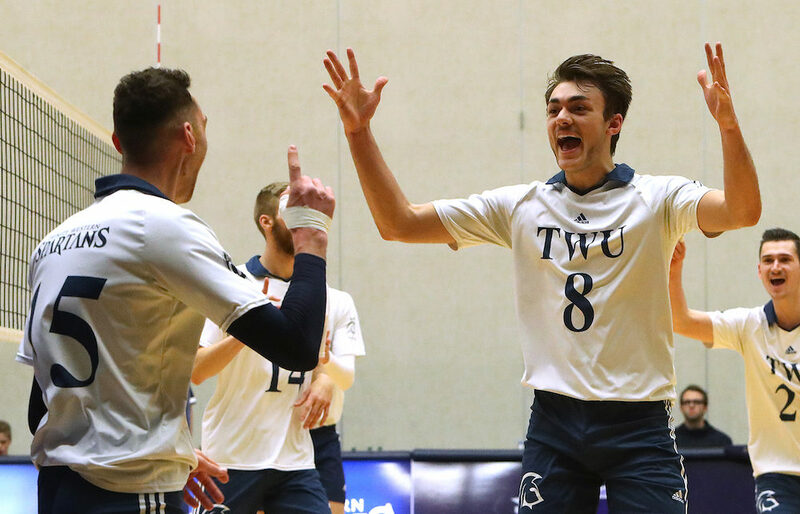 He has grown to become potentially the best player to ever grace the Trinity Western program, which for the last decade has been the nation’s gold standard with four national titles in the last eight seasons. Oh, and did we mention that Eric Loeppky is only five months removed from being a teenager? On Friday, the dynamic 6-foot-5 third-year outside hitter takes to the Langley Events Centre court as his U Sports’ No. 2-nationally ranked Spartans (9-3) open a two-match weekend series against Kamloops’ Thompson Rivers WolfPack (7-5). And when Loeppky does, which of his blue-chip Canada West conference numbers will percolate loudest? First in service aces per set (0.65)? Second in both hitting percentage (.371) and service aces (26)? Third in both points-per-set (4.9) and kills-per-set (3.9)? On a Trinity Western team filled with talent, so much of that speaks for itself. Yet for a small town Manitoba kid who did the unthinkable and actually made Canada’s senior national ‘A’ team this past summer, accompanying them to Europe for training sessions just after his 20th birthday and just ahead of the FIVB Volleyball Men’s World Championships, there is one accomplishment that outstrips any of the actual numbers. After leading his hometown Steinbach (Man.) 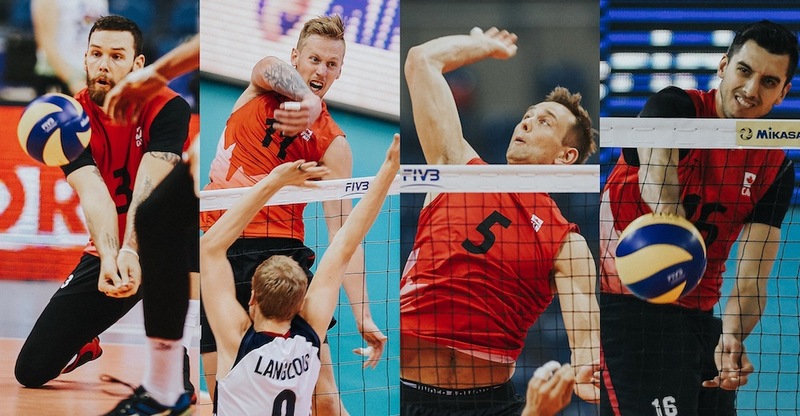 Regional Secondary Sabres to the Manitoba Quad-A title after his Grade 11 season, Eric Loeppky began what would become a very fruitful relationship with Canada Volleyball, at first with the junior national team and later, its senior national ‘B’ team. Yet making Canada’s very top-tiered team while not even halfway through U Sports’ five-year eligibility window is beyond rare. Canadian veteran standout Stephen Marr had spent much of the summer battling a knee issue, and with his availability to join Canada at the FIVB Worlds, which ran Sept. 9-30 in Italy and Bulgaria, an 11th-hour decision, Loeppky had remained with the team, training and playing with the squad in both Slovenia and Poland. In the end, Marr was able to represent his country, but it was still a win-win finish to the international season for Loeppky. To offer a glimpse into just how tough a nut Loeppky had cracked to get as far as he did over the summer, when he arrived in Europe to join the national ‘A’ team, he was surrounded by four former Trinity Western Spartans, all of whom, after finishing their university careers, had made the jump to play for this country’s top team. Making Canada’s 14-man squad were Ryan Sclater (2017 grad), Lucas Van Berkel (2014), Dan Jansen Van Doorn (2013) and Steven Marshall (2013). For Loeppky, his early success has tested his maturity and forced himself to examine what really matters most in life. “It’s really complicated,” begins Loeppky, who has already felt the lure of a professional career overseas, while dealing with life as a student-athlete at a perennial national title contender, and staying ready to excel when called upon by the national program. For his part, Loeppky is hopeful of being able to complete, at the very least, his undergrad work at Trinity, before he would make any kind of decision. Josephson feels Loeppky is navigating his best path at present. Ask Loeppky about the longterm plan, and he’s pretty sure, that just like his grandfather and his dad, Greg, that he will be a teacher. And of course, he’d like to coach. 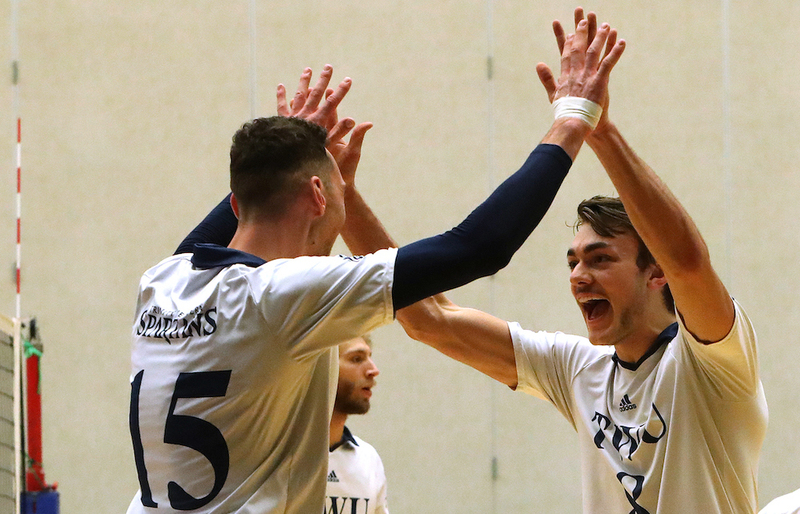 The matches against Thompson Rivers are the first of five straight two-match weekends, with UBC, Mt. Royal, MacEwan and Manitoba to follow before the start of conference playoffs. It’s going to take a team effort to maximize both their finish and their momentum, and Josephson appreciates the subtle ways in which Loeppky is providing his leadership to that cause. “Pure leadership is one of the hardest things in sport and it’s very difficult to lead and to influence your friends, especially when they are all around the same age,” begins Josephson. It’s like the coach says, the contrast between his ability and his humility is enormous.